We’ve all been there, a lost button, a rip in our favorite pants, or a coat that doesn’t fit the way it used to. No need to throw out or donate perfectly good clothing when there’s a minor issue like this. Many people are able to make DIY repairs to their own clothing, but when it comes to alterations or fixing a ripped pair of pants, that leads to a different story. If an item is salvageable and you’re not up to the task of making the repair, our alterations experts are on hand to help you save some money and keep your favorite clothing intact and well-fitting. 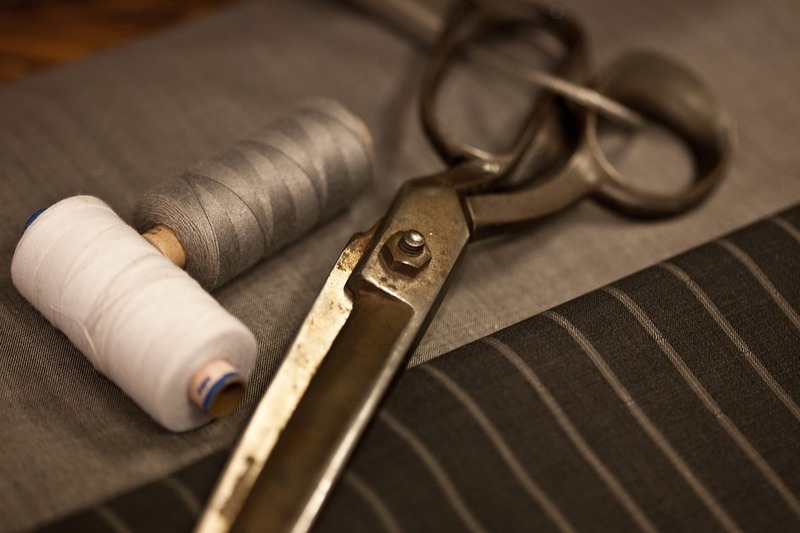 At Jimmy’s Cleaners and Alterations, we take pride in our highly skilled alterations experts. From sewing fixes like button replacement and zipper repair to more involved tailoring and alterations like a jacket or pants that need to be let out at the seams, hiring an experienced seamstress is the way to go. And usually, the turn-around time is less than a week. We take steps to ensure your clothing is properly cared for in every way when it comes into one of our 5 locations. Whether you’re using our dry cleaning service, or our alterations service, you can count on your items being returned to you in proper condition. We’d like to take a few moments to talk about some of the types of services we can provide, and maybe some of the repairs you could make on your own. If you have a small tear that is parallel to a seam, this could end up being a DIY fix you would be comfortable making on your own. When a tear is in a different position, usually perpendicular to the nearest seam, it can be a more difficult repair for a beginner. If you don’t feel comfortable making the repair, bring it to us and let one of our seamstresses have a look to tell you how it can be repaired and go through all your options with you in person. Repairing a missing button on your coats, pants, or shirts, is generally a very simple task. If you have the original button that needs to be replaced, that great! You may also check the inside seam of your clothing article. Usually manufacturers will place extra buttons for the garment on the inside seam for replacement purposes. If you still don’t have a button at this point, check your local hobby store or sewing store to find a match. When replacing a button, be sure and use a strong thread that matches the original thread color so it can’t be detected. If you’re still not confident in this task, bring it to us and we can usually repair a missing button within a day or 2 turnaround time! Shortening is usually a pretty easy task. It may take you a little time to get the stitches in place, but if you have the time, this is something that you can find tutorials online to help you through. Once again, bring it to Jimmy’s Cleaners and Alterations if you don’t have the time or lack the skills to get it done. If you’re wanting to adjust your pants, this is more of an advanced alteration technique that needs to be made by a professional. It is usually possible to have the waist of your pants or jeans adjusted. To find out if yours can be adjusted, look at the back seam and take note if there are extra material flaps that come together past the seam on the inside. If so, it’s likely they can be adjusted out without any problem. Dress shirts, especially around the collar, require an advanced sewing technique for adjustment. You’ll want to bring a dress shirt that needs to be adjusted in to have an alteration professional take a look at it. Any questions you may have about alterations can be answered by one of our experts. Just drop in your nearest location or give us a call. You can also submit the form on the this page and we will get back with you as soon as possible!